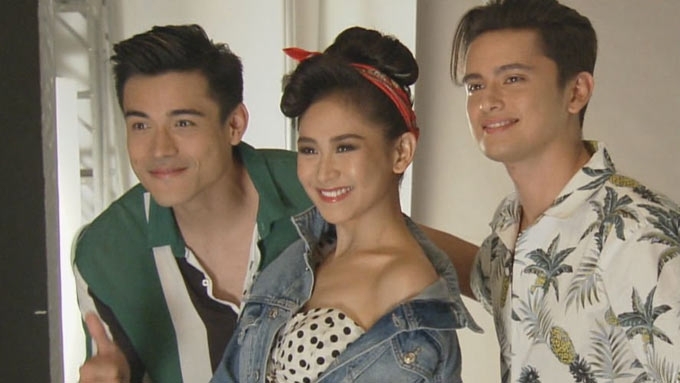 Miss Granny, starring Sarah Geronimo, Xian Lim (left), and James Reid, earned this amount in the Philippine box office when it opened on August 22, 2108. 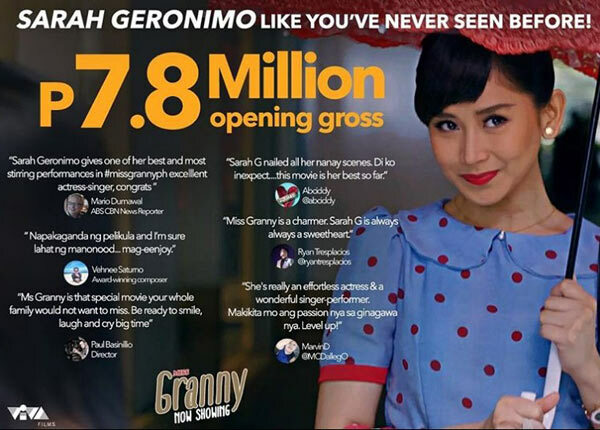 Miss Granny, the latest movie of Sarah Geronimo, earned P7.8 million in the box office during its opening day. This was revealed by Viva Films through its social media accounts earlier today, August 23. The Sarah Geronimo-Xian Lim-James Reid starrer opened in cinemas yesterday, August 22. The film directed by Joyce Bernal is the Philippine adaptation of the 2014 hit Korean movie of the same title. In this drama-comedy film, a woman in her 70s (played by Nova Villa) believes that she is becoming a burden to her family. She magically finds herself in the body of her 20-year-old self (Sarah Geronimo) after having her picture taken at a mysterious photo studio. James Reid is cast as the grandson while Xian plays a producer.